Troon North, Arizona, is located in the Sonoran Desert of North Scottsdale. It is situated next to a 185-acre mountain preserve. 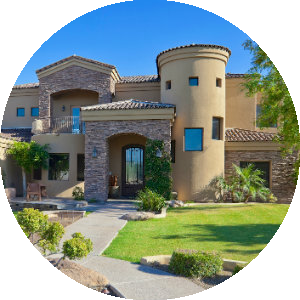 The Troon North Golf Club features world class golfing as well as many other amenities that make this community of luxury homes amid beautiful desert surroundings an amazing area. The Troon North Golf Club has two 18-hole courses that wind through the foothills and natural ravines of Pinnacle Peak, for a visual combination of golf experience and desert landscape. Troon North’s Monument and Pinnacle courses rank high for avid golfers. There have been recent renovations by Tom Weiskopf and the original designer Jay Morrish, The fairways are meticulously groomed, greens are bent grass and customer service is excellent. The Troon North Clubhouse is 37,000 square feet and has a bar and grill, golf shop, conference rooms, and banquet rooms. The community park has tennis courts, play areas, basketball courts and places to barbecue. A 30-acre municipal park is in the planning stages and will include both softball and soccer fields, and courts for volleyball, basketball, and tennis. Outdoor lovers will enjoy the many trails that go through the desert floor. 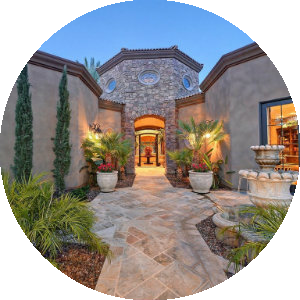 The real estate options in Troon North include fine luxury homes within the natural ravines and foothills of Pinnacle Peak. You will find large southwestern style homes for resort style living. 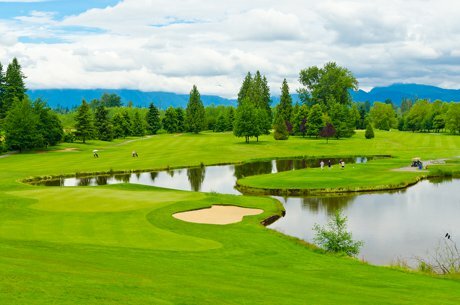 Although not a retirement community, this golfing community, like many others, is a great draw for the 55+ age group. Besides the Tucson and Santa Fe style homes, there are townhouses available as well. There is also land available to build a home in the style of your choice. Homes have amazing views of the surrounding hills and desert as well as the golf course. Residents of Troon North have membership rights to the semi-private, non-equity club. When you take into consideration the amenities of Toon North along with the availability of great shopping and dining in nearby communities, then this area is a must-consider destination for home buyers searching for homes in the Scottsdale area. 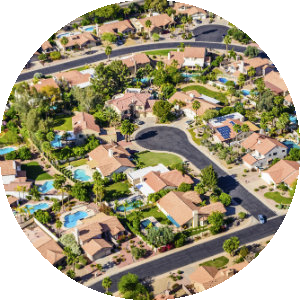 If you would like more information on homes for sale in Troon North, Arizona, please contact us today and allow us to assist you. You'll find the very latest homes for sale in Troon North featured below. This information is updated throughout the day so be sure to check back often! Search the complete inventory of Troon North homes for sale by price, community amenities, golf, and more using our detailed ADVANCED SEARCH option. See something that interests you? Want more information? 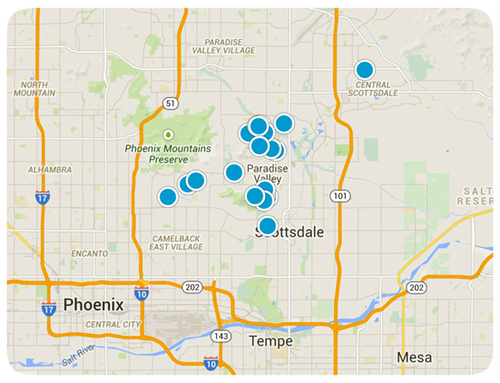 Contact Us anytime to schedule a private showing for any property you find on this site or for more information on the community of Troon North and all Scottsdale real estate.